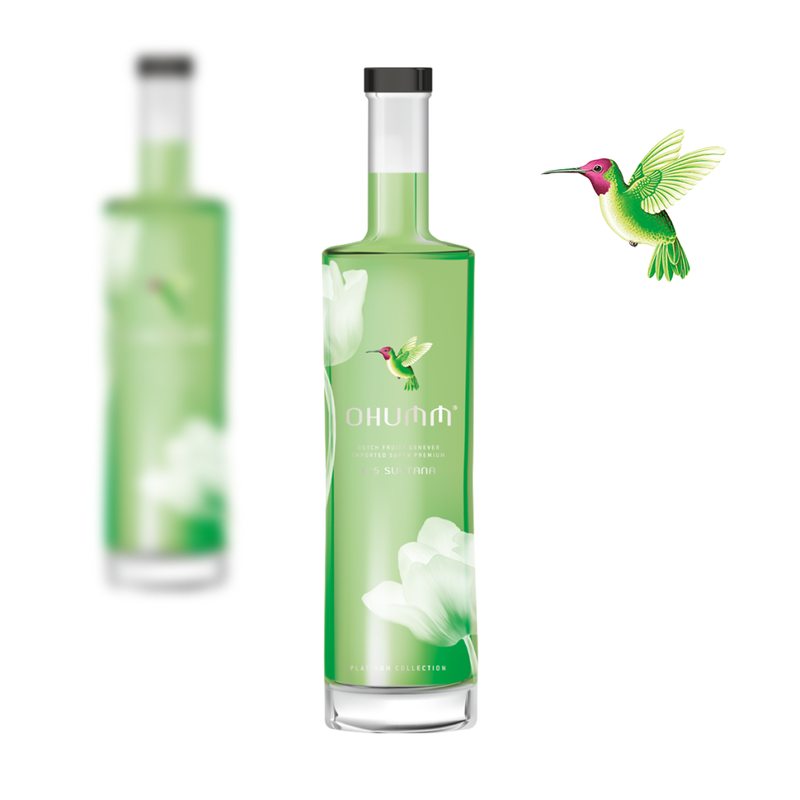 This OHUMM Genever combines the floral fruity smell of the sweet, firm tasting fruit of China prized for more than 2,500 years, the Lychee, with the refreshing sensation of the delicate Cucumber. Simply perfect! This OHUMM Genever combines the typical smell of Red Berries and the sweet and sour taste of the trendy Pomegranate, the symbol of hope and eternity, with the most intensely and enticingly scented fruits of all, the Passion Fruit also known as the Maracuyà. This OHUMM Genever combines the flavour of the popular sweet and delicious berry of the spring, the Strawberry, with the sweet and versatile tropical flavour of the nutritious Coconut. The Sanskrit name for Coconut is “Kalpa Vriksha”, meaning “the tree that fulfils all the necessities of life”. This OHUMM Genever combines the incredibly red coloured, distinctive sweet and bitter flavour of Blood Orange, a hybrid between Pumelo and Tangerine, originally from Sicily (named Tarocco] with the fresh and expressive nose of juicy Watermelon.